Vuze is a powerful bittorrent app for both Windows and Mac. It has a host of nifty features including “meta searches”, ‘integrated, cross codec, high def player” and a handy web remote which lets you securely control your Vuze client from any computer or smartphone with a web browser. 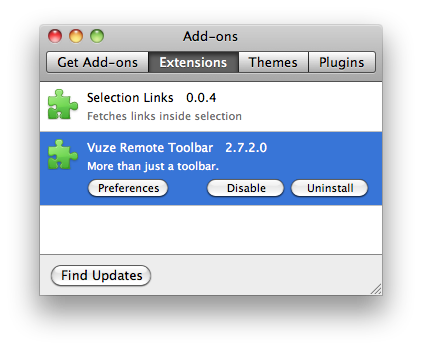 If you have installed Vuze but noticed that there is now a Vuze Toolbar on your Firefox browser there is an easy way to uninstall the toolbar. That’s it, all done. 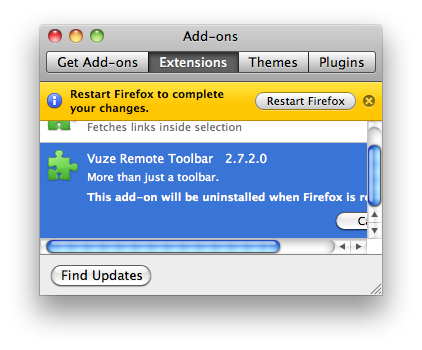 After you have restarted Firefox the Vuze toolbar will be gone forever. Thanks sssoooo much. This toolbar was stopping me from accessing my email contacts when microsoft was updating its email system! Yay!!!!!!! I have been searching for this tip for DAYS! Thank you sooooooooooooo much! 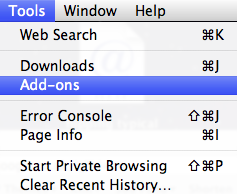 Well, as you say it’s appears to be uninstalled quite easy, but elass not so. When you do a search in Firefox you get still the results from conduit and there is no way to know where it is if you want to remove it. I don’t like the it, it’s a piece of no good program. OMG, Thank you soooooooo much! This is the only thing that worked for me!!! Previous PostPrevious Amazon Black Friday leaked upcoming items price list?